Scleral contacts are noticeably larger than standard gas permeable (GP) contacts and have a diameter equal to or greater than that of soft contact lenses. The smallest sclerals are approximately 14.5 mm in diameter, and the largest can be up to 24 mm. Typically, lenses that are 18 mm or smaller are subcategorized as mini-sclerals. The average human cornea is approximately 11.8 millimeters in diameter, so even the smallest scleral contacts are designed to cover the entire corneal surface. In comparison, most conventional GP contact lenses are 9.0 to 9.5 mm in diameter and cover only 75 to 80 percent of the cornea. Another category of gas permeable lenses bridges the size gap between conventional GP lenses and mini-sclerals. These lenses, called corneo-scleral lenses, generally are approximately 13 to 15 mm in diameter. Corneo-scleral lenses often are a good choice for people who require larger-than-normal GP lenses for greater comfort. They also are frequently used when contact lenses are needed after LASIK or other corneal refractive surgery to correct irregular astigmatism. The size of lens used often is determined by the degree of complexity of the condition. Milder forms of keratoconus and irregular astigmatism from corneal grafts and refractive surgery often are easily managed with scleral lenses at the smaller end of the spectrum. Smaller scleral and mini-scleral contacts can be easier to apply, can be less costly and require fewer care products. 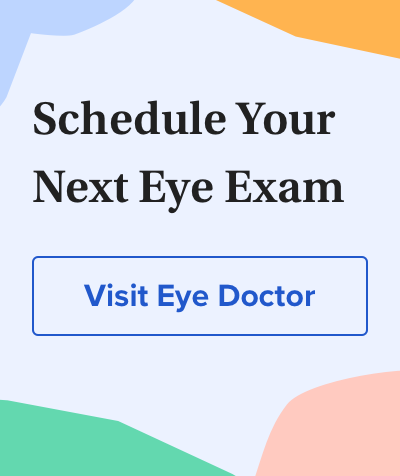 During your contact lens exam and fitting, your eye care professional will determine the best scleral lens type and size for your specific needs. In cases of early keratoconus, a standard GP lens may be used. However, if the lens does not center properly on the eye or moves excessively with blinks and causes discomfort, switching to a large-diameter scleral contact lens may solve the problem. Because scleral lenses are designed to vault the corneal surface and rest on the less sensitive surface of the sclera, these lenses often are more comfortable for a person with keratoconus. Also, scleral lenses are designed to fit with little or no lens movement during blinks, making them more stable on the eye, compared with traditional corneal gas permeable lenses. In addition to keratoconus, scleral contact lenses can be used for eyes that have undergone a cornea transplant, and for people with severe dry eyes caused by conditions such as Sjogren's syndrome, graft-versus-host disease (GVHD) and Stevens-Johnson syndrome. Advances in lens design technology are allowing manufacturers to design scleral lenses that can correct more conditions than ever before, including bifocal sclerals for the correction of presbyopia. Sometimes the term "scleral lenses" (or "sclera lenses") also is used to describe special-effect contact lenses that dramatically alter the appearance of the wearer's eyes. However, these costume contact lenses (also called theatrical contact lenses, Halloween contacts or gothic lenses) typically are soft lenses that bear little resemblance to scleral gas permeable contacts — other than their large diameter to fully mask the cornea. Also, soft theatrical contacts usually are designed for cosmetic purposes only and not for vision correction. Scleral contact lenses are custom-made for each wearer, so fitting scleral contacts demands greater expertise and more time than fitting standard soft or GP contact lenses. Often, computerized maps of the curvature of the entire cornea are generated to facilitate the lens fitting, and several trial lenses of different sizes and curvatures may be applied to the eye during the fitting process. Also, depending on the complexity of the problem and how the individual eye tolerates the scleral lens, adjustments of lens parameters may be needed, which will require additional lenses to be made and exchanged. The entire scleral lens fitting process can take several visits to determine the optimal lens for each eye. While many individuals who use scleral lenses have worn soft or corneal GP lenses in the past, the process for applying and removing scleral lenses may take some practice. The additional time needed to master this, due to the larger size of the lenses and the fluid reservoir under the lenses, needs to be taken into consideration during the fitting process. For these and other reasons, scleral contact lenses can cost significantly more than standard contacts; in fact, it is not uncommon for scleral contacts to cost three or four times more. While not typical, in cases when a complex, highly customized scleral lens is required, cost can be as high as $4,000 per eye or more. Most insurance programs do not automatically cover the full cost of scleral contact lenses. In some cases, vision insurance may reduce the cost of your lenses and/or fitting fee. In other instances, contacting your medical insurance provider and inquiring what steps are necessary to obtain coverage can be helpful. Ask your eye doctor's office for details. Also, some eye care practitioners offer financing options for scleral contacts.